This treatment dissolved the fat cells in treated areas without the reversion as long as proper diet and treatment is maintained. 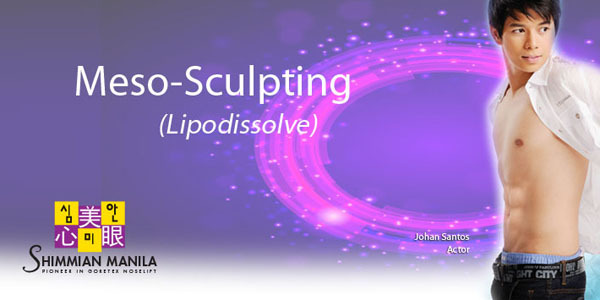 Lipodissolve involves a series of injections of a medicine called Metabolites into problem areas to dissolve fat and take off inches without causing skin irritations or allergies. Although not a replacement for liposuction because it dissolves only small amounts of fat, it is perfect for those who want to lose those last five pounds minus the surgery. Around 5 sessions are required for visible results and these are spaced about 7-10 days apart. Maximum of 10 sessions.